When people think of Wisconsin, they may associate the state with farms, milk and cows rather than musicians and singers. While Wisconsin does have an abundance of farms and cows across the state, it also has an abundance of talented artists. 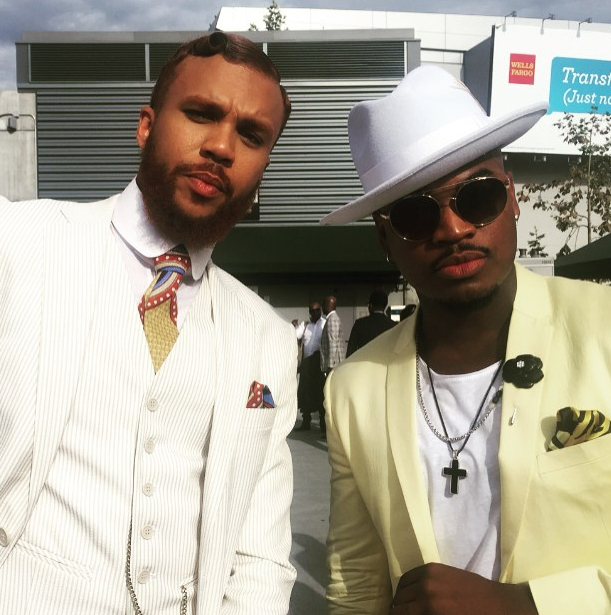 This list of artists includes American Idol finalist Naima Adedapo, Eric Bennett, Skylar Grey and more recently, up and coming star Jidenna. While there have been many artists to slip onto the scene in 2015, Jidenna’s music is different than most. The 30-year-old singer is a hip-hop artist, but his hip-hop is not like the Drake or Jay-z songs people will hear on the radio. Known as “Swank,” Jidenna’s genre of music has a bit more of a funk feel to it and is also mixed with class, just like his style. Under singer Janelle Monae’s label, Wondaland Records, the singer has recorded an EP, The Eephus, that features five songs, including his debut single “Classic Man,” which came in at number 49 on the Billboard Hot R&B/Hip-Hop Airplay chart in February of this year. People may be wondering how a guy from a small town ended up signing to Janelle Monae’s label or how he’s managed to gain the recognition of thousands of fans across the United States. The answer to this question is that Jidenna is truly talented and very dedicated to his art. His music sets him apart from most hip-hop artists working in the industry at this current time because he has managed to avoid the cliché topics, like drinking and partying, and focus on subject matter that has depth and true feelings behind it. It make sense to those who know Jidenna’s story because prior to signing to Wondaland Records, he was actually working as a teacher in New York City, putting his musical skills to use by finding a way to educate his students while incorporating hip-hop. Since signing his record deal, Jidenna has been making waves, performing on the 2015 BET Awards and being interviewed by every news and entertainment source there is out there. People are recognizing him for both his vocal talents and his rather dapper appearance, as it is important to him that he expresses himself through his music and his clothing. In fact, many people have commented on his attire on several occasions, pointing out that he is always dressed to impress no matter what his plans are for the day. To be successful in the music industry, people have to not only be talented, but not be your average, everyday artist. Jidenna may have been born in a small town, but he has big city dreams that he is actively pursuing. Not everyone gets the chance to live out their dreams of being a professional singer, so those who can do so are lucky. Jidenna is set to perform at on few select dates in Texas this fall at the Austin City Limits Music Festival. His EP is to be released in mid-august of this year.